5. Tax avoidance is NOT a powerful motivator for planned giving. With the passage of the new Federal tax code, many fundraising professionals have worried about the effect it will have on charitable giving. Fortunately, multiple research studies demonstrate that tax avoidance is not a significant motivation for planned giving. While tax policy might affect the amount of someone’s donation, it is unlikely to determine whether someone will make a planned gift to your charity. The primary reason for that is that donors can receive the same tax benefits regardless of which charity they give to. Therefore, the motivation for giving to your organization will involve other factors. Recently, I wrote “10 Things You Might Not Know about Planned Giving” for The Non-Profit Fundraising Digest. In that post, I share some additional insights about planned giving including information from the latest academic research. You can read the post by clicking here. 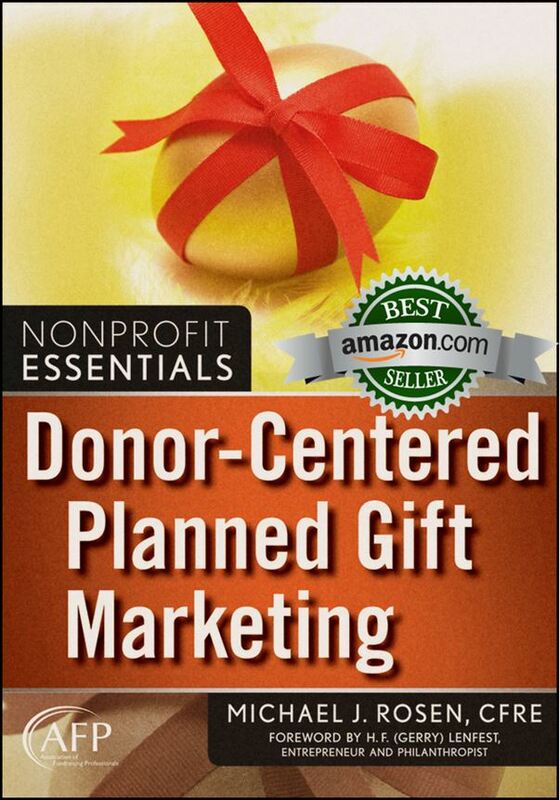 For even more insights, helpful tips, and real-life examples, read Donor-Centered Planned Gift Marketing, my award-winning, bestselling book. I hear the tax break myth a lot. Danielle, thank you for your comment. As you well know, there’s no shortage when it comes to myths circulating around the nonprofit sector. That’s why we all need to be teachers with our colleagues as well as prospects and donors. Fundraising is about so much more than fundraising. The largest gifts a donor gives to an institution is often not cash. It’s assets and assets fund large planned gifts. Jay, thank you for your insight. You’re right. There’s some new research that will be released next month that will underscore your point.